It is made out of die-cast metal. This is the stick- on variety GM started selling as a replacement in the 80's. The original had 3 mounting pins. This is a reproduction of the engine code paper sticker that goes on the front of the driver's-side valve cover. It has the two letter engine code, ignition timing and and a bar code. 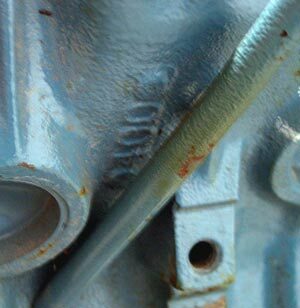 It is not known what the bar code was for, but it possibly was used to set up the timing equipment to ensure the ignition timing was set correctly in production. Since it was paper, it deteriorated rather quickly and few examples survive. 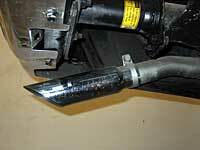 Vehicles built before the March 15, 1973 emissions system change used black ink instead of red. 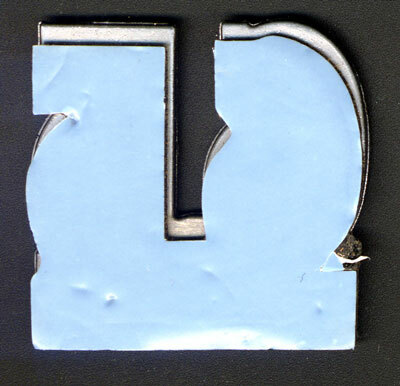 This is the label that goes on top of the standard Delco R89 side-terminal battery. It is placed on top of the battery so that it can be read from the front of the car. Since batteries only lasted about 3 years and were usually recycled, few examples survive. 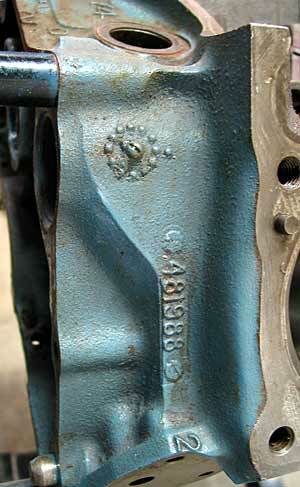 This is an engine inspection stamp on the front side of the driver's-side front valve cover. 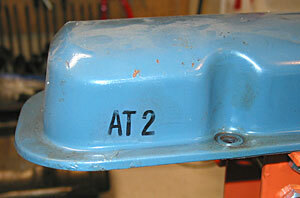 It does not stand for Automatic Transmission. Perhaps Assembly Test 2? 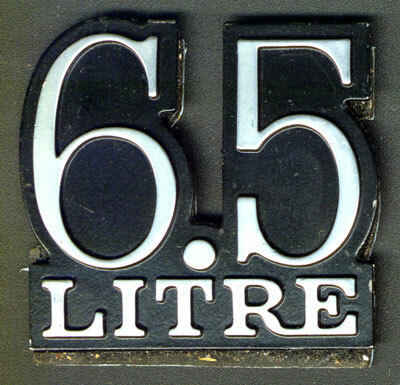 The sequential production number for the engine. Often referred to in service bulletins to identify production changes or service issues. 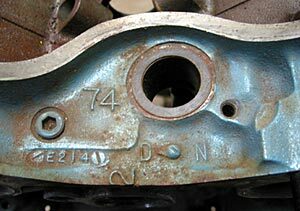 It appears all Pontiac engines were cast and machined in Pontiac, MI. 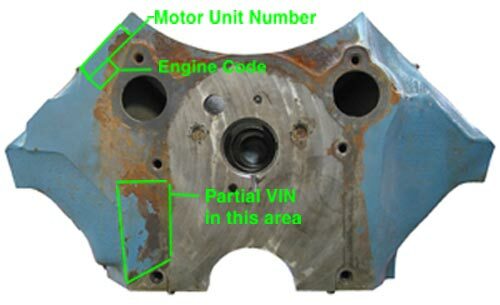 Two character code identifies the engine assembly. This is like an engine "model designation" and can be cross-referenced to just about all the parts used on the engine. 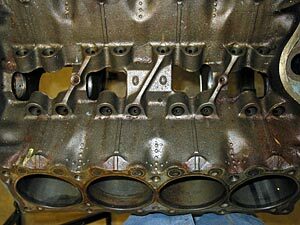 The same engine codes were used for vastly different engines, so one must know the year of the engine as well. Usually starting with 2P..... 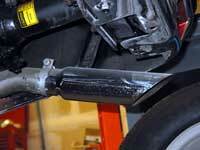 It identified the VIN of the particular car the engine was installed in. Note that it is a 6 digit number. Prior years had a leading "0" for a seven digit number. 2 Foundry casting line or Pontiac Division? Circle with dots Time cast = 8am? 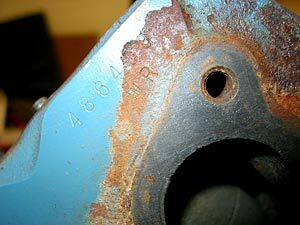 Often these numbers are missing, especially on 4 bolt main and other performance blocks. 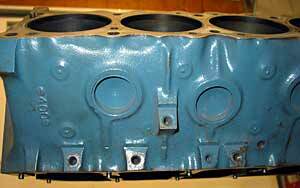 3H = 400 4bbl 4X head with screw-in studs and heavy valve springs for manual trans car. Some articles say that HEI did not come out until 1975, but this is not true. HEI was released May 1st, 1974 which required new engine codes for the rest of the 1974 production year. Most, but not all engines got HEI. The SD-455 did not. 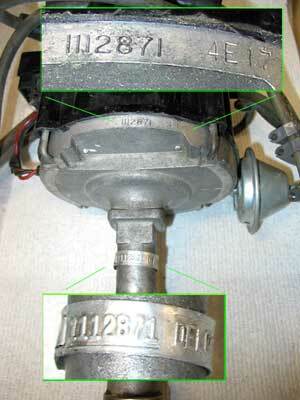 The distributor has the number stamped on the side of the housing and also on the aluminum tag shown. 112871 is for a WR code manual trans 400. 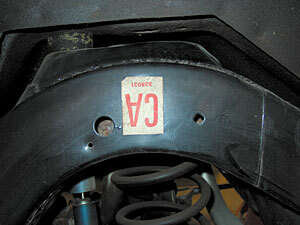 This is an example of the sticker that goes on the driver's side of the frame behind the rear wheel. Note that is is mounted upside down. This is the way it was originally mounted. Frames were shipped upside down. 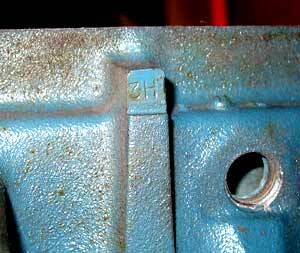 It has a two letter code and the GM frame part number, 338031 for a 1974 2-door A-body frame. The bumper energy absorbers had yellow and black warning labels.